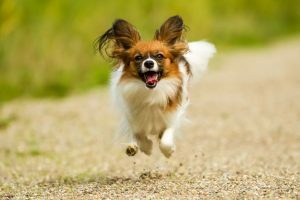 Of all of the many small-dog breed types, the Miniature Papillon is certainly one to consider. Known for its butterfly-like ears and dainty body structure, this dog easily passes the cuteness test. There are, however, many things to take into consideration before purchasing or adopting any dog. 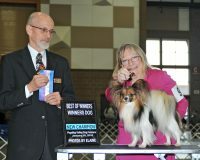 The Miniature Papillon is not typically considered a lap dog, at least not as a puppy. Inquisitive and always on the go, this toy breed would much prefer to be running and playing as opposed to quietly sitting on someone’s lap. Extremely intelligent and occasionally manipulative, these dogs respond well to training as long as the training is done correctly. They do, however, have a tendency towards sulking and manipulation if they do not wish to obey. Having a good relationship with this breed is very important in order to effectively train them. As is the case with most small breeds, the dog barks a lot and will need training to help correct that. This breed is also potentially aggressive towards other dogs which can seriously injure them if not kept in check. 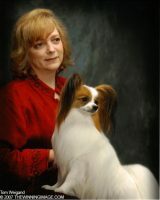 This dog, also known as the Continental Toy Spaniel, is perhaps the best of the toy breeds. They are lively and intelligent, agile and inquisitive. They have lightning quick reflexes and the ability to entertain themselves for hours. If you are looking for a dog that is easily carried with you wherever you go, this breed is a great choice. As shedders, these dogs are generally considered low to moderate but you will need to pay close attention to their ears and underarm areas as the hair is long and has a tendency towards knotting up. The area around their private parts will also need regular trimming. Although this breed appears delicate with the butterfly ears and tiny feet, they are surprisingly sturdy like most of the spaniel heritage. However, like most toy breeds this dog is also typically fragile. A simple jump from your arms to the floor can cause bones to break. They are also not typically considered good around small children and should be in an adults-only household. They love to go for walks or to the dog park, but care should be taken to keep them on-leash as their natural curiosity will have them streaking off like lightning after whatever moves, be it squirrel or larger dog, with no concern for their own safety. The Continental Toy Spaniel usually lives between 11-15 years. The adult dog generally weighs in at between seven and nine pounds with males being heavier than the females. Possible inherited diseases include deafness. If your Continental Toy Spaniel has a lot of white fur covering its head, chances are good that it has inherited deafness. Another disease that can affect the breed is a blood-clotting disease called von Willebrand’s, however, there is a simple DNA test that can be performed at any time to determine if your dog either has the disease or carries it. 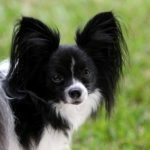 Miniature Papillons very often have sensitive stomachs and should be kept on a limited-ingredient diet. Some of the digestive diseases include colitis and pancreatitis. A limited-ingredient diet also helps to prevent skin allergies. Perhaps the biggest potential problem with this breed is injury. Whether choking on a tiny object or breaking a bone from jumping, the potential for injury is very real with this breed. A gate carelessly left open is all the invitation the Papillon needs to take off and go looking for trouble. 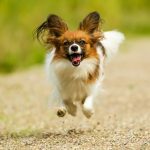 If the trouble they find happens to be a larger dog, a simple grab and shake is enough to snap the Papillon’s neck. Because of their small size, it doesn’t take much to overdose them on any medication. 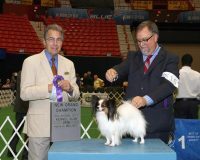 In general, as long as care is taken to keep her safe, you can expect to enjoy your Miniature Papillon for many years. In conclusion, if you are looking for a small dog breed that is active, intelligent, and inquisitive, then this breed may be for you. If you live alone or with other adults and no children and are craving the companionship of a dog, then certainly consider this breed. With her winsome looks and small body, this dog is a great choice for a pet, always willing to travel at a moments notice as well as providing hours of stimulation.